The Biathlon Sub-Club has been working hard to get ready for the Biathlon Season. The season started a little slow, since there was a lack of snow. We held an early season biathlon camp at Sovereign Lake in Vernon during the 23 – 25 of November 2018. This was well attended by the Athletes. We did lose one of our top athletes this year due to not having enough Left Handed Izhmash Rifles, and unfortunately we were not able to get parts as the company has been bought by Kalashnikov and as you know there is a ban on importing parts from that company. 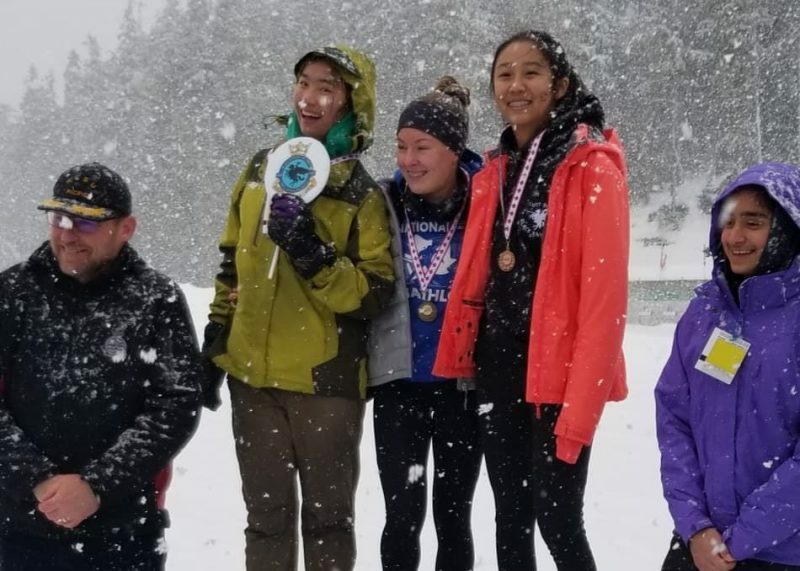 Once the Biathlon competition season started, some of our Athletes competed at Prince George in 05-06 Jan 2019, Quesnel 19-20 Jan 2019, The race in that was planned for 01-03 Feb 2019 in Vanderhoof had to be cancelled as the weather fell below -20. It has been postponed to 08-10 Mar 2019. Our Athletes have done well at the competitions and are on track to qualify for nationals. I would like to congratulate Ethan Algra, now racing with SLNC in qualifying for the Canada Winter Games which will be held 15 Feb – 03 Mar 2019 in Red Deer. More details will be posted in March after Nationals has completed. The 907 Black Knight Sqn is happy to announce that 9 of the 10 positions from our zone are filled by our cadets. The Cadet teams have been practising at AFGC for the Biathlon Zone competition up in Whistler Olympic Park. The race was 19 Jan 2019 for Fraser River Zone, and 20 Jan 2019 for Fraser Valley Zone. Over two days there were 140 cadets competing, from 12 – 18 years old. Also on 20 Jan 2019 CI Elizabeth Martin and Capt Tim Dyke were presented with their Official Biathlon BC Range Safety Officer Qualification. While we both are DND qualified Range Safety Officers, it is nice that we were able to obtain the civilian Biathlon RSO Qualification. Presenting the medals was Commander D.B.Henderson, Commanding Officer, Regional Cadet Support Unit (Pacific). Please wish us luck for the upcoming Provincials race in Mt Washington!